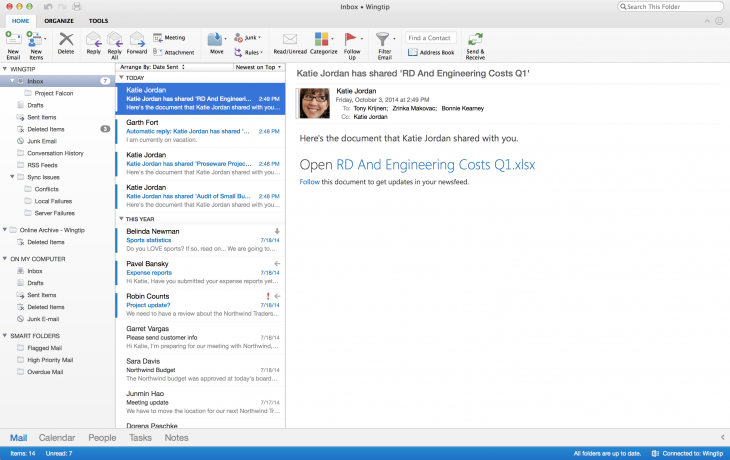 Microsoft has announced an all-new Outlook for Mac, available for Office 365 users. The launch brings the product into line with its versions on other platforms, including mobile and PC. Alongside its refreshed interface, Microsoft says the new Outlook for Mac app brings better performance and reliability, as well as a handful of other new features. Microsoft also revealed it’s introducing a new beta version of Office for Mac in the first half of 2015, with the final version due to hit later in the year.